On March 20, 2018, Sarasota County voters can renew the 1-mill for school operations. The funding has been approved by voters every four years since 2002, most recently in 2014 by 76.9%. Sarasota County is one of only two counties in the state to receive an “A” from the Florida Department of Education every year since grading began in 2004. All the money approved by voters stays in Sarasota County to help local students. The 1 mill will yield approximately $56 million in fiscal year 2018—roughly 13 % of the school district’s operating budget. An independent Financial Advisor Committee reviews how money approved by the referendum is spent and reports their findings to the School Board and public. $17 million of approved grants in Sarasota county alone were not funded. For the state of Florida that number is $53million. Term limits result in a new wave of legislators every year who do not understand the funding process and the impact of the Division of Cultural Affairs grants. Write thank you letters to your representatives for whatever funding you received. Let them know the impact of state funding on your organization and community. Call on your representative in their home office. Tell them about your organization and its role in the community – social, economic, educational. Add policymakers to your mailing list and invite them to attend events. Share the data about your organization listed above with your board along with the Arts and Economic Prosperity 5 study. Board members armed with good information can be powerful advocates. Florida’s education funding comes with requirements and restrictions for public schools. 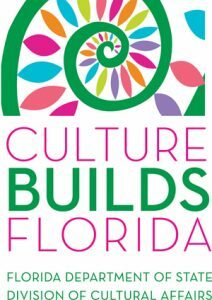 The Sarasota County School Board has supported arts education resulting in robust arts education programs for all students. The Arts Education Task Force, made up of education directors from arts organizations, concerned citizens, and a school district representative works to ensure that arts education is maintained and that community programs support approved curriculum. The Community/Schools Partnership for the Arts made up of community representatives and school district personnel is an advisory committee to the superintendent. They work within the schools district to support effective arts education. 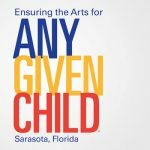 Any Given Child Sarasota is an initiative of the Kennedy Center which works to ensure equitable access to arts education for every child.